The two weeks went by in a flash. We ended up going to Orlando for a day and went to Disney. I think I had a little to much fun there. It was really fun I saw Jasmin, with is funny considering what happened a little while ago. "It is time to go Mari we need to pack up." Adrien told me. It was 7:00 in the morning. "Don&apos;t wanna." I grumbled was up late last night after Adrien was fast asleep. I was up looking up wedding dresses. I know Adrien told me to wait till after vacation but I was really excited. "It is a paw-some day too sleep in I agree, but un-fur-tanatly you need to get up princess." I groaned as I sat up.We were going home today! I was really nervous about telling my parents about the wedding. "To true kitty to true." I said as I grabbed my clothes for to day. When I came back to the bedroom he was already dressed. "Hey" I flirted as I came up to him and gave him a hug. 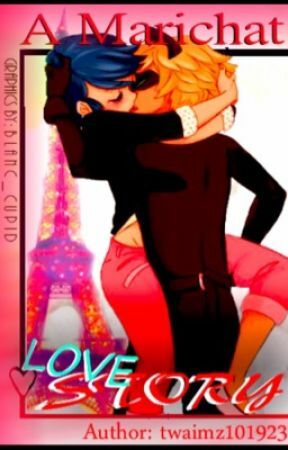 "I love you Adrien Arrested." 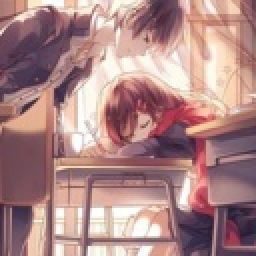 "I love you Marinette Dupain-Cheng. Their is no one else in the world I would rather be with not Chloe not Lila, nobody." He said and he lent down for a kiss I turned my cheek and ran off. " Hey no fair I wanted that kiss!" Adrien whined. "Then come and get it." I teased as he chased me around the room. Me and Adrien were standing outside my parents bakery. We went inside. " Mom we need to talk." "Okay honey what is it?" My mom said. I turned to Adrien and he nodded encouraging me on. I also felt a knudge on my thigh, it was Tikki showing me her full support.
" Maman, Papa I do not know how to tell you this but me and Adrien are getting married."